August is National Shooting Sports Month! To celebrate and to help introduce some new friends and family members to the fun and excitement of target shooting, Bristlecone is hosting a Family Day on Saturday, August 19th, at Bristlecone Shooting, Training, and Retail Center in Lakewood, Colo. Join us for family-friendly events inside and outside the facility from 9 a.m. to 5 p.m. This fun-filled day will include a kid-friendly parking lot party with bounce houses and face painting (face painter will be here from noon to 2 p.m.), the Bistro Colorado food truck with delicious selections, a store-wide sale featuring items perfect for new shooters and families, plus family deals at our state-of-the-art, indoor shooting range. We’ll also be offering free Firearms Safety Seminars throughout the day. 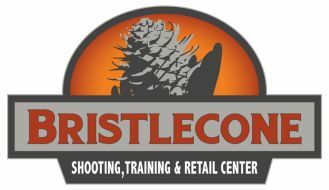 To learn more, visit https://bristleconeshooting.com or call 303-985-0989.